Overview of the session: From 4-4:40 six of the faculty representatives on the Strategic Planning Committee gave a brief presentation about work so far. - Melissa Gjellstad gave an overview of process, sharing how to find the Strategic Planning website, what the timeline looks like, and forecasting a communications plan. - Duane Helleloid showed slides of the SWOT analysis that was discussed in the August 25 meeting (where the 50-member committee was asked to identify strengths, weaknesses, opportunities and threats to UND through an anonymous Qualtrics survey) to give a sense of themes that emerged in that exercise. These slides are available on the Strategic Planning website. - Soizik Laguette summarized the discussion of “core values” that occurred as a group exercise in the Sept 7 meeting. She showed photographs of the notes taken during the group exercise to share the work in progress. - Michael Mann summarized the discussion of “metrics” that occurred as a group exercise in the Sept 7 meeting. He explained why the group talked about core values and metrics at the same time, instead of one leading to the other (so that we are coming at the process of strategic planning from both sides). He also showed photographs of the notes taken during the group exercise to share the work in progress. - Becky Weaver-Hightower passed out note cards for people at the meeting to record thoughts and input (captured below). - Brad Myers moderated a thoughtful Q&A session (captured below) that ran from 4:40-5:15. Following are comments and suggestions that were made during the presentation, in the Q&A, in the note cards, and in follow up emails. These are not necessarily in the order in which they were asked, and comments have been compiled where possible. When possible, committee members answered questions. Many of the following are suggestions for the faculty members of the committee. - One person asked about the kind of minutes the campus should expect from Strategic Planning Committee meetings. He expressed preferring something closer to a verbatim report instead of a summary, as much as is allowed by the use of group work and exercises. A summary of each session will be posted on the website. As much work that is conducted in working groups, verbatim reporting is often not feasible. It is an open meeting; days and locations are posted in advance and any interested parties are encouraged to observe. - Several faculty asked for the committee to develop safeguards to insure that he strategic plan will be followed once it is in place. They were concerned that an administrator might override planning to do what he/she wants or that this will be another empty exercise not used on the College and Departmental level. 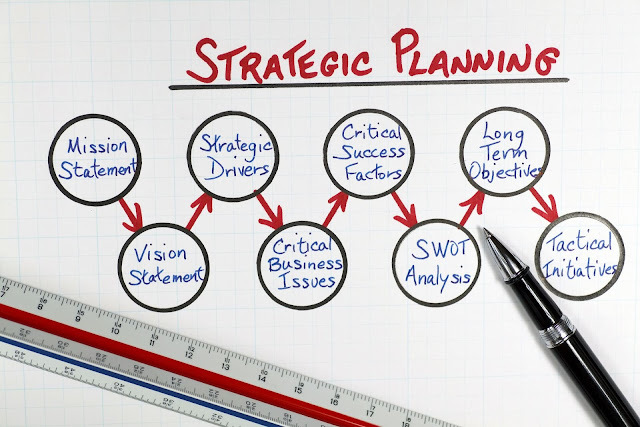 NDUS with direction from the Chancellor is implementing a strategic planning online software package to ensure consistency in reporting and monitoring of NDUS campus strategic plans. Our institution will be required to enter our strategic plan into this software and will be accountable for our performance at the system level. - One faculty suggested that the new strategic plan should fit with those already in place in Colleges and Departments. By their nature, each of the college plans are in various stages of development (Education and Human Development) or have been in place for many years (Arts and Sciences). Consideration will have to be made to support the overall institutional strategic plan. This process will occur after May 2017. - One person asked about the strategic plan addressing problems in our university right now, including the fact that we lost 10% of our faculty in the buyout. This person was concerned that we will not be able to offer the same level of teaching quality with that many fewer faculty. Several note cards also suggested that the strategic plan consider increased teaching and service loads for faculty. It is early in the process; however it appears that ‘teaching excellence’ is under consideration; more importantly there is consistent message that excellence in teaching and a strong liberal core is a priority. - Many people asked for the Strategic Planning Committee to keep the focus on teaching and learning. Several people felt that what was shared did not emphasize enough that UND’s primary role is to educate students and that we currently have a great deal of expertise in teaching excellence and Scholarship of Teaching and Learning research that is a real strength of our campus. This was a strong thread in the discussion that was raised several times by various members of the audience. Several people on notecards also suggested that the Strategic Planning Committee put greater focus on learning outcomes and increase representation of campus experts in teaching and learning. Please see above. - One faculty asked us to tie our core values explicitly to teaching and learning, and another asked that our core values describe what we want our students to be. The core values should be, this person thought, easily captured and widely discussed with our students as well as among ourselves. We agree. The planning committee will determine how to best engage stakeholders in this conversation. - One person (a faculty member from Aerospace) asked that the strategic plan please not link everything to UAS. Strategic initiatives will be determined by the planning committee (with the caveat that everything is advisory to the president). Thank you for your comment! - One person asked about the time period the strategic plan is meant to address. He asked if this were a five-year plan (to which the answer is “yes.”). The Strategic Plan will cover a three to five year span. Central to this is the initial three-year contract that the SBHE offered to President Kennedy. He has directed the Strategic Planning Committee to advance a plan that allows for the university to revisit and revise as needed. - Several faculty asked about how this plan will be used. One person differentiated between the legislature as an audience and the campus as an audience, noting that whereas a document for the legislature would be to explain who we are, the campus needs a document to guide development. The December midpoint is a step in the process. President Kennedy wants to be able to share direction of some of the important strategic initiatives, discuss the interdependence/effect on other campus plans, and create the basis for ideas to share with the stakeholders, including the legislature. December is a benchmark to share the group’s progress. A graphic overview of the Strategic Planning process and its phases will be posted to the Strategic Planning website shortly. - One person asked if the strategic plan is going to guide MIRA and the budget process and asked about the relationship between the two. We recognize that this is an important input into the process and we will be working over the fall to make these data available to help inform committee members and the overall process. This spring we will be working to incorporate MIRA and Master. Planning into the Strategic Plan. - Another person asked about the relationship between strategic planning and program prioritization. Strategic planning is by nature a means of prioritization. The primary difference is that it is not limited to a program rather it is about the priorities for the entire University. - Another suggestion was that the Strategic Planning Committee should involve in discussion of metrics experts on campus already measuring student learning with sophisticated metrics (used in the University Assessment and the Office of Institutional Research, for instance, or as part of the ongoing Higher Learning Commission study) ? This person also expressed concerns about our ability to make data-driven decisions when the responsibility and resources for data management and dissemination rests on an eroding number of staff members. We will begin forming subgroups of the Strategic Planning committee who will work to identify available data and their input into the planning process (nobody wants to reinvent the wheel when it comes to data utilization). To date, we have had presentations from members in the VPFO’s office to discuss applicable SOAR and IPEDS data. Committee members also recognize the importance of aligning the strategic planning process and our HLC efforts. - The issue of graduation rates as a metric was raised, with the suggestion that the committee be careful to contextualize graduation rates, since, as one faculty member said, the easiest way to graduate someone in 4 years is to have low standards and require little work, which is not what any of us want. Thanks for the comment; our data subgroup will be responsible for wresting with our data measures. It will be key to avoid perverse measures or unintended consequences. - Someone else suggested that the committee look outside UND for ideas for our strategic plan, specifically at Donald Kennedy’s Academic Duty (by the former president of Stanford). Thank you for the comment. - Several faculty asked why the committee didn’t include more faculty or why a particular area wasn’t represented and how faculty representatives plan to communicate with faculty outside of their specific discipline. Several committee members answered that they plan to reach out to specific departments to get more information from them and make sure they are represented. The Membership has representatives from all colleges, includes the deans and appointed members from USenate, Staff Senate and Student Government. There are many avenues for input, including each of the college representatives. As we go forward, the planning website will see the development of a FAQ and the und.strategicplanning@und.edu email address. There will be additional calls for engagement from committee subgroups. These will be well-publicized and it is our hope that anyone who wishes to engage will find ample opportunity to engage. - Another faculty member suggested that the strategic plan promote UND as a research university, with a strong graduate program and record of strong faculty scholarship. Thank you for the comment. The research mission of the university has been central to many of the discussion of the Planning Committee as well as the importance of the graduate programs. - The question was raised about the role of the consultant on the Strategic Planning. Committee, specifically how and why he was chosen, about his experience with strategic planning in higher education, and about his influence over the process. This person was concerned that the consultant be interacting with the committee. Barry Horwitz is serving as an advisor to the co-chairs for the planning process, offering guidance on processes, analyses, and meeting facilitation; he has experience leading and facilitating strategic planning processes in the educational and nonprofit fields. He was asked to provide an objective outside perspective to the co-chairs throughout the planning process to help assure that the resulting plan is comprehensive and complete. - One person suggested that we develop a campus vision for an outcome for UND and start there to work back to a plan to get there. A guiding vision for the Planning Committee contains UND as the “Premier Flagship in the Northern Plains,” and a purpose, “Chief Engine of Opportunity for North Dakota and North Dakotans.” The committee has been in the process of revisiting UND’s core values, which were last visited in the 2005 "Strat Plan II". The Mission Statement will be revisited at a later date to ensure that we devote adequate time and attention. - Another person expressed concern that the strategic plan create a climate where everyone flourishes and feels valued (not just UAS faculty and students). This person felt strongly that the strategic plan should address the campus’s morale problem. The President recently released findings from the Spring 2016 Great Colleges to Work survey. In his release he acknowledged many challenges and began to lay the ground work for how we collectively must address concerns. - One person suggested that we start with the old strategic plan to see what we can learn from it and that history, perhaps not starting from scratch but seeing what progress we have made in the last decade on those goals. The process is incorporating some elements from previous planning processes, including the core values. However, the last update was in 2005 much has changed on our campus, in our state and on the national stage. In addition we have a new President who is providing direction on the future of our University. - Several attendees were interested in the metrics that are being used to measure student success, in addition to graduation rates. One person asked if we could include quality of life for faculty, staff and students as a metric to be measured. This is a great comment and will be referred to our data subgroup. - One person in a comment card suggested that the Strategic Planning Committee consider using industry opinion about our programs as a metric. Also a great question and will be referred to our data subgroup for consideration. - Another card asked that we insure that strategic planning doesn’t kill strategic thinking. We need strategic thinking more than ever, this person said, but the plan that will be laid out can easily suppress what could be unique and valuable. Great comment! If you are comfortable reaching out, please contact one of the co-chairs or your planning committee representative(s) for additional discussion. - A final email suggested that the Strategic Planning Committee have a good understanding of what’s happening in the academic world as a whole and what’s happening in the rest of the working world, so that are aware of the surroundings OUTSIDE of this university enough to know how we can move into the future. Another great comment. We will be benchmarking against comparison schools and President Kennedy has charged us with identifying a number of areas that we can be the best (best in the nation, best in the region, and best in the state). This should help direct understanding of what is going on in the academic world, but please contact one of us to keep this dialogue goings (especially if you have additional insights to help us better “get at” the actionable parts of your comment. Compiled and recorded by Becky Weaver-Hightower. Verbal responses were provided for many of the questions. Written responses contained in this document (in blue) were generated post forum.